Brewer Description: (from website in Dutch) Tarwebier gebrouwen met granaatappel 4% abv. Eenmalig gebrouwen in maart 2018. 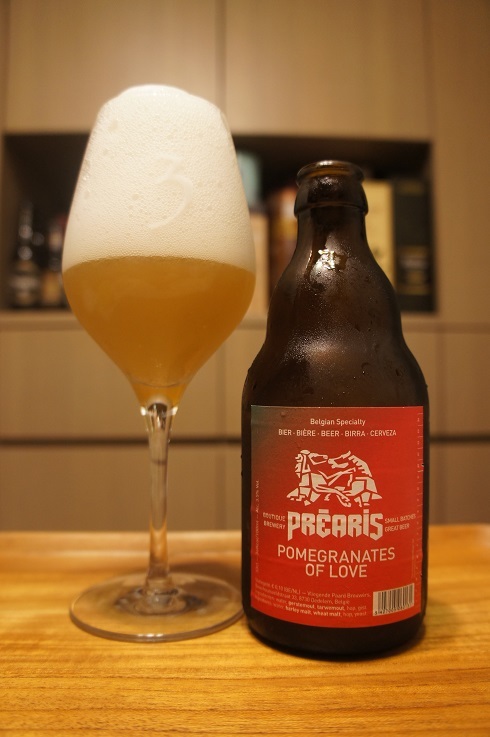 (translated to English) Wheat beer brewed with pomegranate 4% abv. Brewed once in March 2018. Intro: A 330ml bottle with a notched best before date of March 2020. Poured into a 3 Fonteinen stemmed glass. Appearance: A hazy golden straw yellow colour with a huge four finger white head that had excellent retention but left only sparse lacing. Aroma: Dusty, wheat, citrusy lemon zest, slight sweet malt, caramel and apple juice. Taste: Light flavours, wheat, sweet malt, lemon zest, citrus peel and hints of pomegranate. 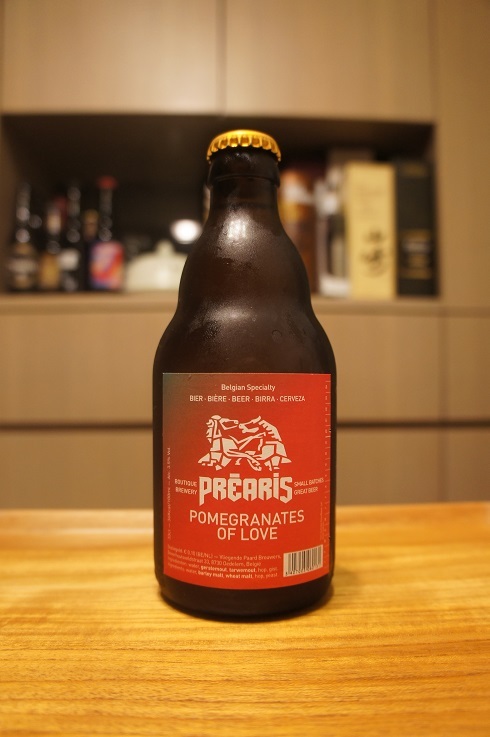 Overall: Considering pomegranate was in the name, it’s a pity that it wasn’t more prominent. I also wasn’t too fond of the ‘dustiness’ in the aroma. Just didn’t really work out for me.